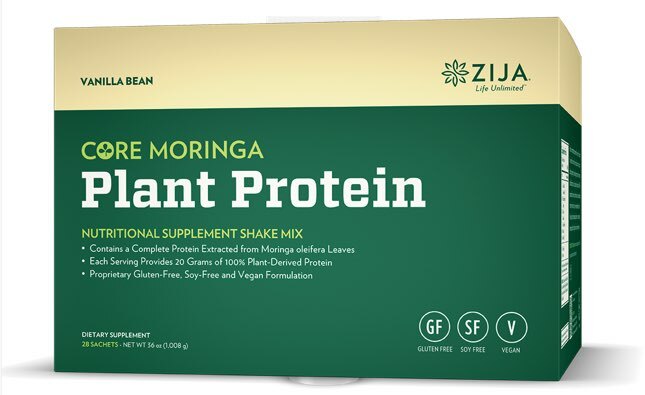 Plant Protein Nutritional Supplement Shake Mix contains a complete protein extracted from Moringa oleifera leaves, providing each serving with 20 grams of 100 percent plant-derived protein. Zija’s proprietary gluten-free, soy-free and vegan formula will help you feed your body with maximum nutrition. Zija has gone above and beyond industry standards to deliver the most nutritious Moringa possible. From farm to mouth, they scrutinize each step to ensure that nutrition is at the forefront of all decisions in the growing, harvesting and manufacturing processes. This includes utilizing the best locations for growing Moringa, shade drying the leaves to ensure that their nutrients remain intact and using state-of-the-art machinery and facilities. 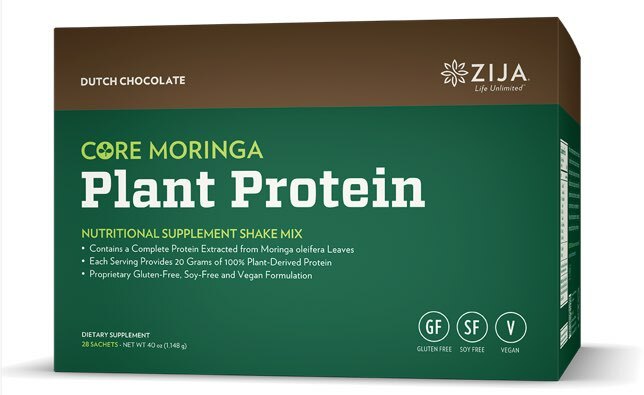 Zija’s Core Moringa Plant Protein is the first product of its kind —a proprietary formulation that utilizes protein from the leaves of the Moringa oleifera tree, as well as other plants. Moringa protein far exceeds the minimum requirements of all nine essential amino acids, making it a complete protein according to the Institute of Medicine’s Food and Nutrition Board.